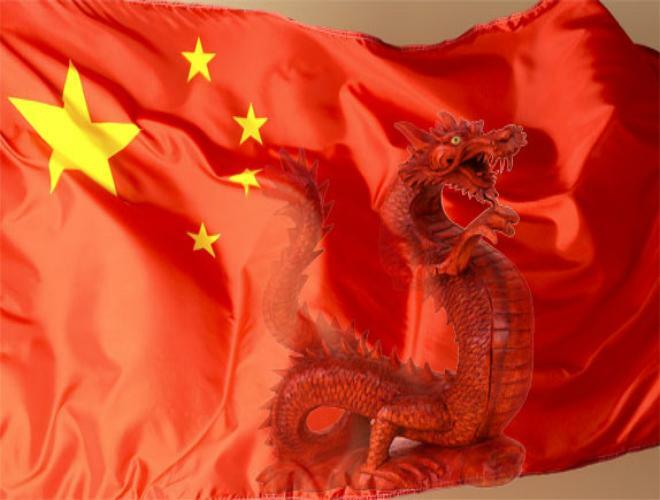 Red China(The Evil Red Empire – The Red Dragon – The Expansionist) formulated its policy of Expansionism in late 1940s under the leadership of its Communist Party Chairman Mao Zedong or Mao Tse-Tung. It uses fraudulent maps(Nine-Segment Map) prepared in 1947 to extend its maritime territory in South China Sea. RED CHINA – EXPANSIONISM – SOUTH CHINA SEA – IMAGES OF FIERY CROSS REEF TAKEN ON JANUARY 22, 2006(ABOVE) AND APRIL 02, 2015(BELOW). 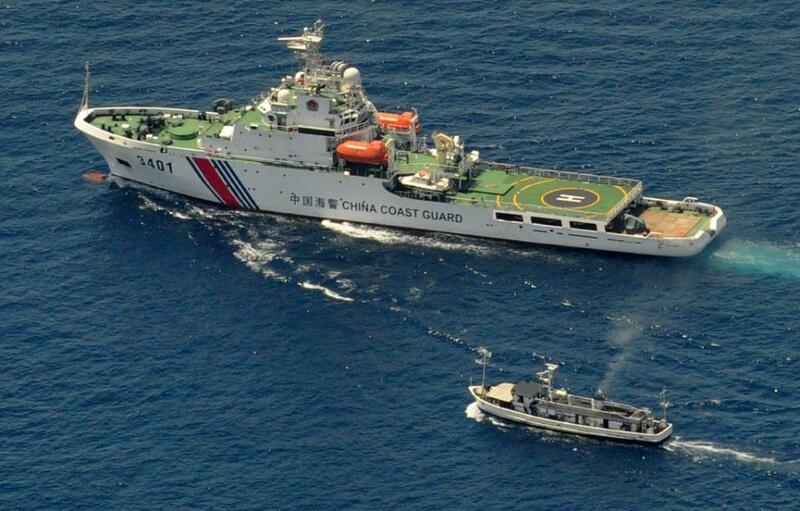 RED CHINA – EXPANSIONISM – SOUTH CHINA SEA : RED CHINA COASTGUARD VESSEL CONFRONTING PHILIPPINE SUPPLY BOAT ON MARCH 29, 2014. RED CHINA – EXPANSIONISM – SOUTH CHINA SEA . China has dramatically ramped up its land reclamation efforts in the South China Sea this year, building artificial islands at an unprecedented pace to bolster its territorial claims in the disputed area, US officials said Friday. The rapid construction of artificial islands in the strategic waters comes to 2,000 acres (800 hectares), with 75 percent of the total in the last five months, officials said. “China has expanded the acreage on the outposts it occupies by some four hundred times,” said a US defense official. The United States did not endorse land reclamation by any of the countries with territorial claims in the South China Sea, but “the pace and scale of China’s land reclamation in recent years dwarfs that of any other claimant,” the official said. The South China Sea is home to strategically vital shipping lanes and is believed to be rich in oil and gas. Washington is concerned China’s efforts carry a military dimension that could undermine America’s naval and economic power in the Pacific. US officials released the reclamation estimate as the Pentagon issued its annual report to Congress on the state of China’s military, which repeated accusations that Beijing was staging cyber attacks to scoop up information on American defense programs. China blasted the US report on Saturday, expressing opposition and accusing it of distorting facts. “The US defense department’s report on China’s military and security development situation distorts facts and continues to play up the ‘China military threat’ cliché,” Chinese defense ministry spokesman Geng Yansheng was quoted as saying by the official Xinhua news agency. He made no direct mention of land reclamation in the South China Sea, but said China was justified in upholding its sovereignty in the area. “The military build-up aims to maintain sovereignty, security and territorial integrity, and guarantee China’s peaceful development,” Geng said. 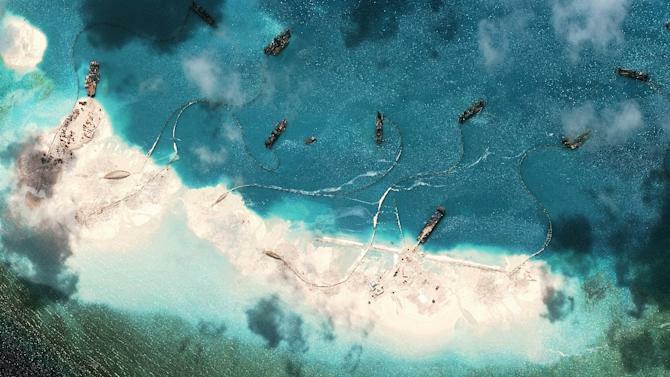 Previous reports have noted China’s focus on cyber and space weapons but this year’s document included a special section on the country’s massive dredging and island building in the strategic South China Sea. At four reclamation sites, China has moved from dredging operations to “infrastructure development” that could include harbors, communications and surveillance systems, logistics support and “at least one airfield,” the report said. The Chinese have excavated deep channels that could accommodate larger ships to the outposts, it said. The ultimate purpose of the effort remains unclear but analysts outside China say Beijing is “attempting to change facts on the ground by improving its defense infrastructure in the South China Sea,” the report said. Unlike other countries making claims in the area, China at the moment does not have an airfield or “secure docking” at its outposts and the reclamation operations may be aimed at ending that disparity, it said. The Pentagon report covered a period ending in December 2014 and it said China had reclaimed 500 acres in the disputed waters up to that point. But since then, China has conducted reclamation covering 1,500 acres, officials said. 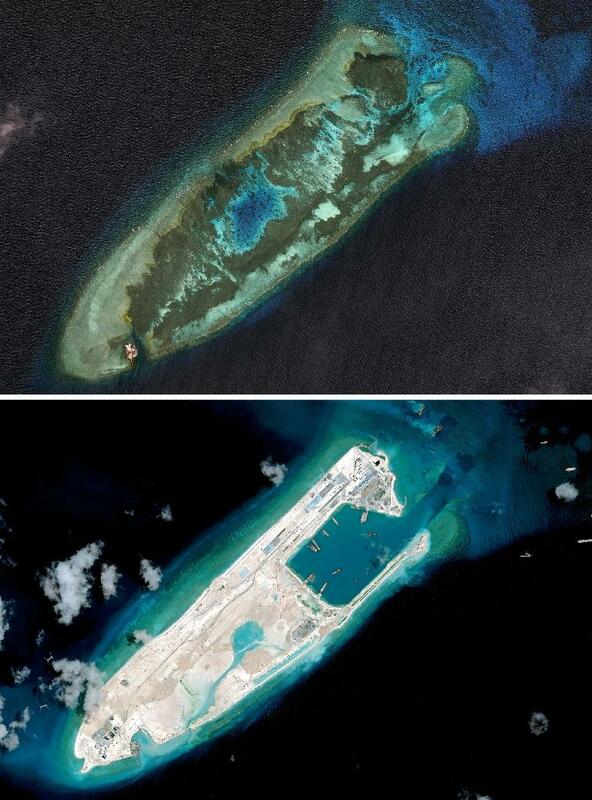 Satellite images taken last month and shown on the website of the Washington-based Center for Strategic and International Studies (CSIS) showed Chinese island-building in several locations, including construction of a runway on Fiery Cross Reef in the Spratly Island chain, estimated at 3.1 kilometres (1.9 miles) in total and more than one-third complete at the time. 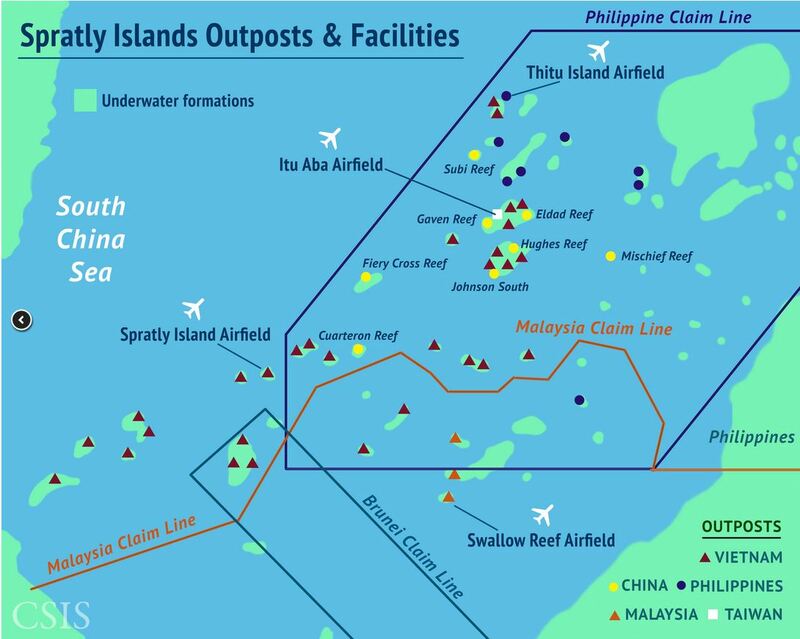 This week CSIS also unveiled images of Vietnamese island-building in the Spratlys. 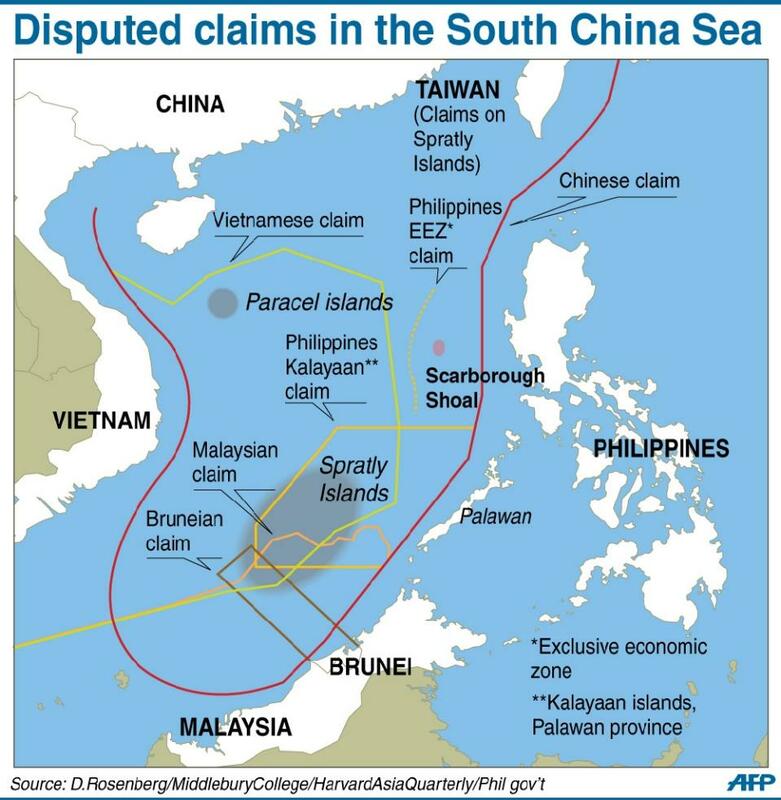 Beijing asserts sovereignty over almost the whole of the South China Sea, including areas close to the coasts of other littoral states, using a nine-segment line based on one that first appeared on Chinese maps in the 1940s. China has repeatedly defended its construction work as taking place within its own territory and intended to help with maritime search and rescue, navigation and research. “The scale of China’s construction work should be commensurate with its responsibility and obligation as a major country and meet actual needs,” foreign ministry spokeswoman Hua Chunying told a regular briefing Friday, before the US comments. 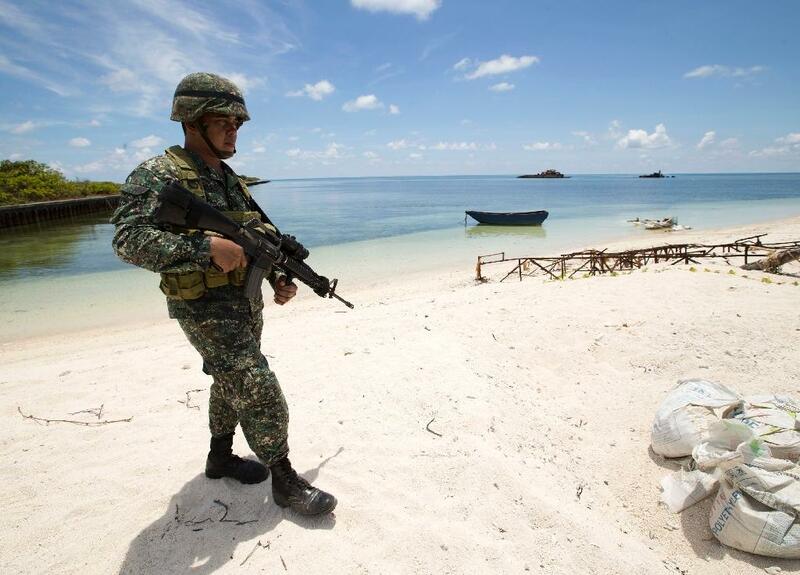 The Philippines, Vietnam, Malaysia, Brunei and Taiwan all have overlapping claims to the sea, but reclamation work by China’s neighbors has proceeded at a slower pace. Vietnam has reclaimed about 60 acres of land since 2009 and Taiwan has reclaimed about five acres near Itu Aba island.